Adding a splash of subtle smokey hues to a formal ensemble has never been easier, or more luxurious. 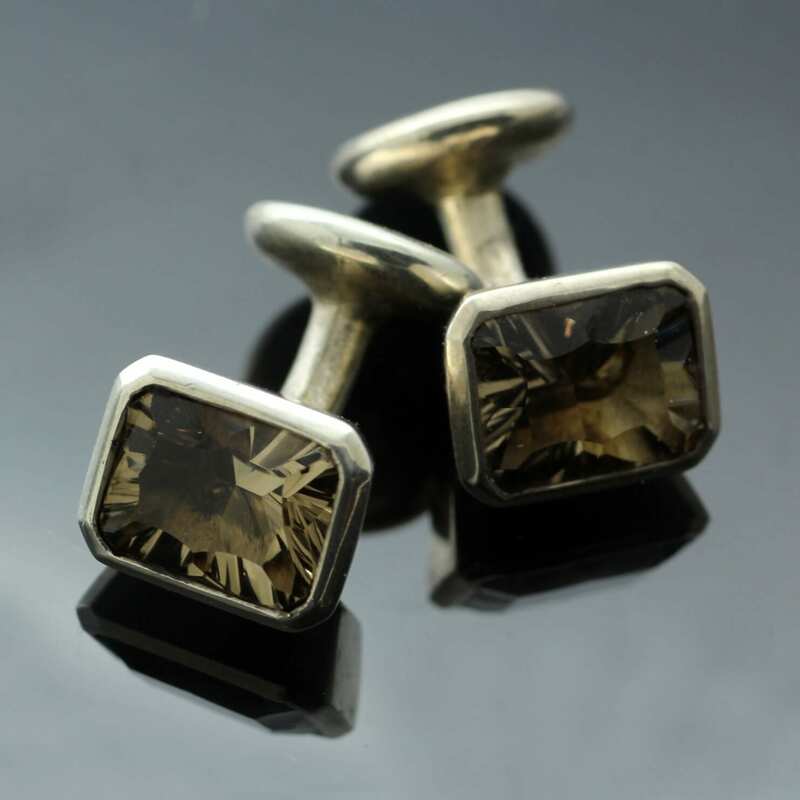 This effortlessly stylish pair of handcrafted solid Sterling Silver mens cufflinks are flush set with a beautiful pair of Optix cut Smokey Quartz precious gemstones. The Optix cut of these glorious Smokey Quartz gems creates a rich, elegant flash of colour and subtle sparkle which responds beautifully to light and movement. These truly special solid Silver cuff-links are designed, handmade and hand finished with a high shine polish by Julian Stephens. 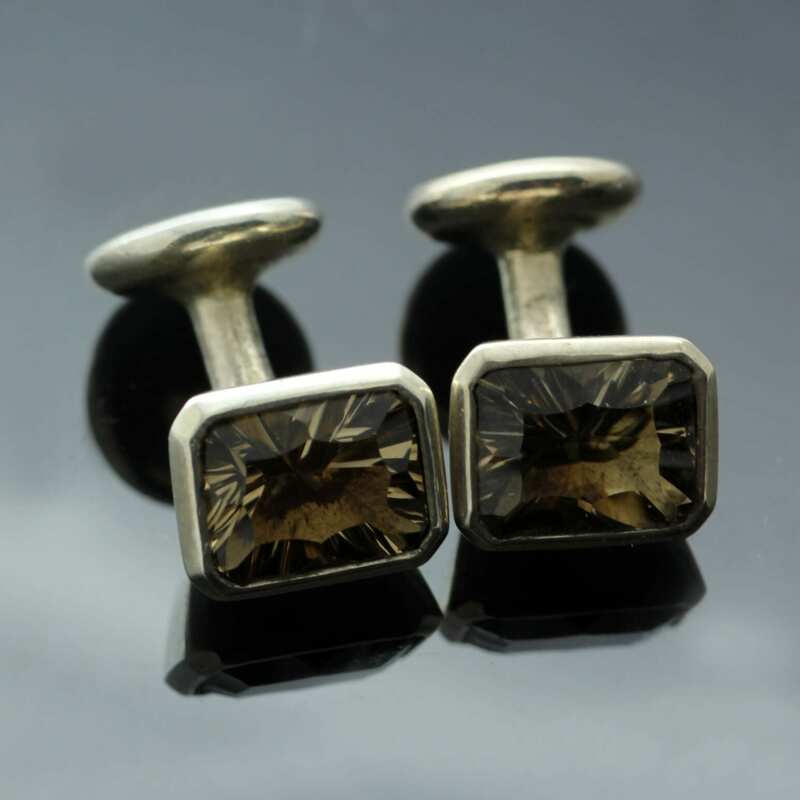 Presented in a stylish black gift box these elegant cufflinks would make a special gift or treat for him.